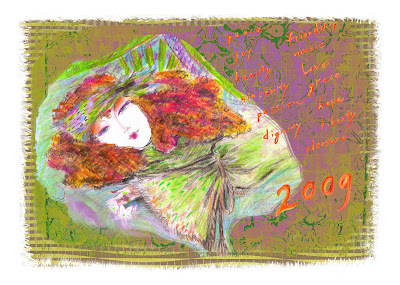 With good wishes and thoughts for the New Year, the Holidays and the years to come. These sweets are not only irresistible with a wonderful balance of a thin wafer of chocolate topped with "healthy candies" but are fun to make, pretty to the eyes and a pleasure to gift. This is a family favorite recipe. 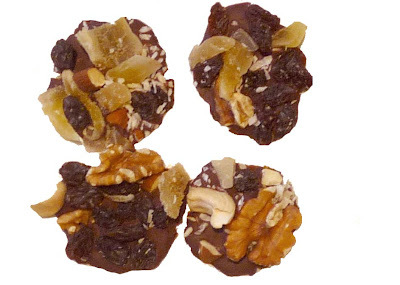 For success -- use the finest chocolate you can find, and top with colorful and the most delicious and fresh dried fruits and nuts you have available. Go exotic, traditional or luxurious -- whatever your style and your region. Baking sheets or trays lined with foil. 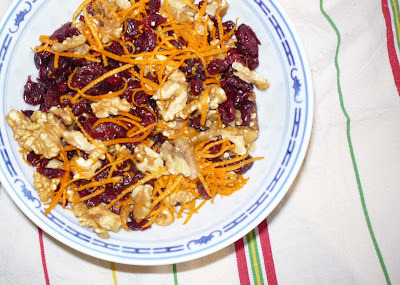 -Mix all your nuts and fruits in a bowl. -Melt the chocolate in the microwave in a bowl. This is what I learned from a Callebaut chocolate chef - make short, 30 second to 1 minute cooks in the micro, and stir in between to melt the chocolate evenly, until it's rich and creamy. -Drop a small teaspoon of chocolate on the foil. 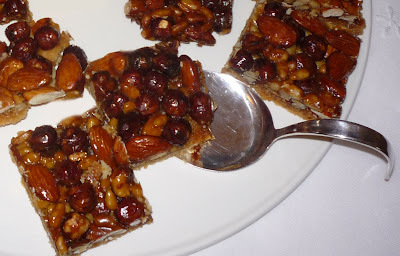 -Press a small spoonful of the nut mixture firmly into the chocolate. You will have a thin layer of chocolate as the base, with the top covered in the nut mixture. -Repeat until the whole tray is filled with your chocolate wafers. -Then place the trays in the refrigerator for about a half hour until the chocolate is firm. -When it's firm, peel the chocolate off the wax paper. Well, I'm going to soon be returning to fashion and diy projects, but this little interlude into foods was good for the soul and irresistible. 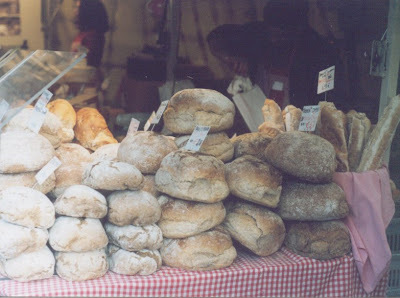 Somehow there doesn't seem to be anything as luxurious right now as homemade bread. 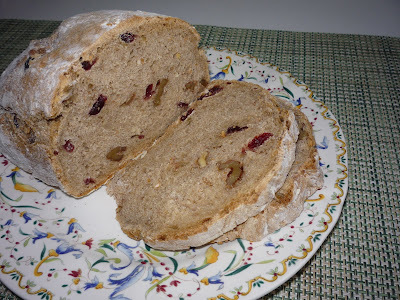 The time, craft and smells are delicious and I make it unique by adding dried cranberries and walnuts or peppered olives and sun dried tomatoes, it's salty or sweet, using whatever I have on hand that is colorful and inviting. The sweet one we spread with jams from Neuhaus, which are ultra rich, just like their pralines, with concentrated fruit combinations, we love the apples and cinnamon or raspberries - unlike anything else, it's not like candy, but also not like jams as we know them, something else ... or we spread on a friend's mother-in-law's homemade jams that we are privy to, from northern Italy, which are ultra fine, but uncommon combos like marron glacé with pecans. Otherwise I saute fragrant mushrooms, add a sprint of creme, wine, garlic and parsley to pile on top the farmer's bread. Everything simple but heavenly and I hope it inspires you. When I find wonderful loaves of farmer's bread at the market, I love to cut them into thick slices and eat with a rich, black chunk of chocolate...or for kids, I toast the bread and insert thin slices of chocolate. The perfect chocolate treat. 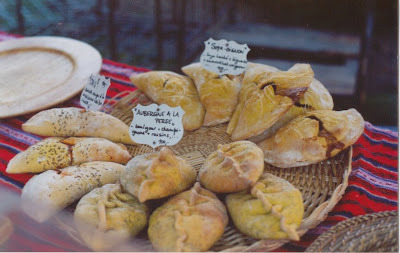 ...and these stuffed dough meals didn't last a day with their nutty, spicy fulfilling flavor. Food is actually an integral part of fashion, so finally I succumb, and post a favorite cookie recipe. These cookies represent for me the feelings of the end of the year and the beginning of 2009. They have a splendidly homemade and earthy taste, take minimum time to make and stand out from all the chocolates and fluffy deserts that seem passe this year. The recipe in from one of my Gourmet cookbooks, but I found a link online --"Gourmet". It's no fail fun and there's plenty of room to improvise with what you have in your cupboards. I knitted up a bunch of hats to gift friends and family, in combinations of my leftover yarns -- angora, mohair, cotton, worsted wool, silk, nubs, everything soft, cuddly and appealing, pastels, brights, heathers, etc., … a textured smorgasbord of fun. 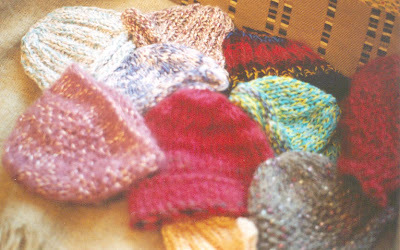 The pattern is variations of the "Honey Bear Hat" by Laurie Kimmelstiel in "Exquisite Little Knits". Laurie has continually inspired me with her joy over gorgeous yarns, patterns and hand crafted needles --- and hats, just to watch as she knits a hat is gorgeous! Proof that with a pile of nothing, cast-off fur, sweaters, lace and net, everything gathered in this case from the "Les Petits Riens" ...but it could have just as easily fallen out of the closet -- a wonderful designer has created whimsical fantasy outfits that capture a child's delight! A strong push to recycle imaginatively.